The Northeast Ohio chapter of ANA Business Marketing is dedicated to sharing B-to-B best practices and peer insights among Ohio's marketing professionals. 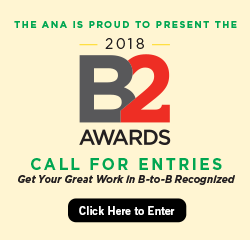 Founded in 2012, the Northeast Ohio chapter of ANA Business Marketing is the newest of a nationwide group of local organizations dedicated to specific needs of B-to-B marketers. We are in the early stages of establishing our programming and events calendar, and are actively seeking new members to help us shape the chapter from the ground up. There are currently no upcoming events scheduled. Please check back soon. Stay up to date on our most recent information and events!